How do I set up free shipping for my Amazon listings? 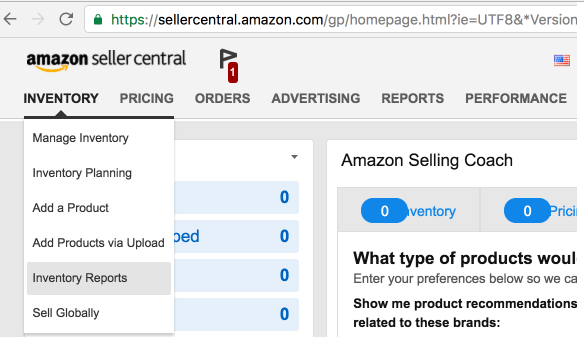 On the top right header menu in Seller Central hover over Settings. Select Shipping Settings from the dropdown menu. On the right side of the Your Per Item/Weight Based Model section click the Edit button. Select the Regions and Service Levels You Support and click Continue. In the Standard column, change any fees to $0.00 from their default $0.50 per item or lb and $4.49 per shipment default. Click Continue and click Confirm. How do I set up quantity discounts to attract bulk orders? You can edit business prices and quantity discounts in your listings. From your seller account, select Pricing, then Manage Pricing. If you do not see the Business Price column, click Preferences, then put a checkmark next to Business Price. To add quantity discounts, select Quantity discounts, then choose either Percent off business price or Fixed price. For a Percent off business price model: Select Percent off business price. Enter quantity thresholds in the At least box. Enter a discount in the get box. For example, if you specify "At least 10 for 5% off", then a business customer who purchases 10 units will get a 5% discount off the business price. Click Set Prices. For a Fixed price model: Select Fixed prices. Enter quantity thresholds in the 'At least' box. Enter a price in the 'for' box. For example, if you specify "At least 10 for $5.00", then a business customer who purchases 10 units will pay $5.00 each. Click Set Prices. How do I download reports from Amazon Seller Central? Amazon's official guide for downloading reports for inventory, Active Listings, etc. 3. Click on the drop down where it says "Select Report Type"
5. Click Request Report. Reports generally take 15 to 45 minutes to generate. You can return to this page later to pick up your completed report. 6. Under Check Report Status & Download, when the Report Status is "Ready," click the Download button. 7. Save the file to your local computer in "Text (tab delimited)(*txt)" format. 8. Open the report in a spreadsheet or database program, such as Microsoft Excel or Microsoft Access.